I reading more books right now and not coming any closer to finishing any of them. Hence one of the reasons I don’t read more than one book at a time. 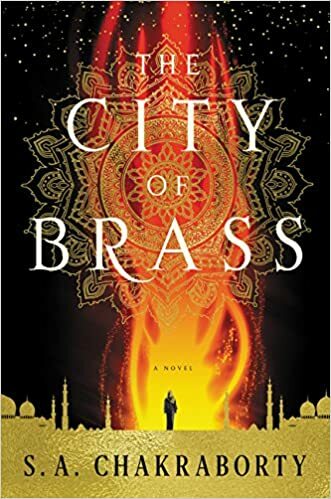 And, having said that, I just might take a time out and read The City of Brass (The Deavabad Trilogy #1) by by S. A. Chakraborty, so I can quickly get to The Kingdom of Copper (released January 22, 2019). She could only imagine how well that conversation had gone over. And she knew part of what Dara was saying made logical sense, but God, did the thought of being alone in this foregin city, surrounded by scheming djinn with unknown grievances, terrify her. She couldn’t conceive of doing this along, of waking with Dara beside her, of passing her days without his gruff advice and obnoxious comments. Off to make sure this one is on my GR list! 🙂 Happy weekend! I usually read one book at a time, unless one of them is nonfiction. I’m not familiar with this book. It does sound good. I routinely read one book at a time. They only time I read more than that is if the one I start isn’t catching my attention but I’m not yet ready to abandon it. This week I am spotlighting Whispers Under Ground by Ben Aaronovitch as I try to finish a series I just discovered. Happy reading!